"Animal Law: The Connection Between Domestic Violence and Animal Cruelty - A New Zealand Perspective"
Anita Killeen is a Barrister at Quay Chambers, specializing in financial crime and fraud, civil and criminal litigation, and governance and decision-making. She is the former chief prosecutor in New Zealand's Serious Fraud Office. Roberto Toniatti is a Professor of Comparative Constitutional Law and former Dean of the Law School at the University of Trento. He is an expert in comparative constitutional law and has written widely on the judiciary, legal pluralism, European integration, minority and indigenous peoples’ rights and cultural citizenship. Professor Toniatti was a Fulbright Scholar at the University of Virginia and has since taught and lectured at leading institutions around the world, including the Universität Innsbruck, Hong Kong University, the National University of Singapore, and Haifa University. In addition to his scholarly contributions, he has also advised the European Union and the Venice Commission. Professor Toniatti is a member of the International Academy of Comparative Law. The Casad lecture series is named in honor of Professor Emeritus Robert C. Casad, who has been on the faculty at the KU School of Law since 1959 and is internationally known for his scholarship in comparative civil procedure. In 1997 he retired from classroom teaching but continues to conduct research and publish books and articles. In 1936 Franklin Roosevelt said, “Taxes shall be levied according to ability to pay.” Today experts still regard progressive taxation as the most equitable and economically effective tax structure. A progressive tax system is one in which those with the greatest capacity to pay, pay more tax than those with a lesser capacity to pay. In a progressive tax system, average tax rates rise with income. A progressive tax system has many advantages, including reducing tax burdens on people who can least afford to pay them and leaving more money to stimulate the economy. Additionally, by indexing tax rates to increase as income climbs, the people with the greatest amount of resources fund a greater portion of the services we all rely on, such as education, roads, first responders, and social services. Recently we have seen some states increase progressivity while others have become more regressive. The State of Minnesota Management and Budget Commissioner Myron Frans, L'83, will describe the historical case for progressive taxes and recent examples of successful implementation. 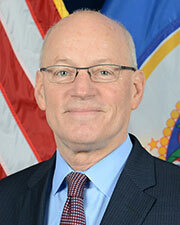 Myron Frans was appointed Commissioner of Minnesota Management & Budget in 2015. He previously served as Commissioner of Revenue from 2011 to 2015. Frans has three decades of private practice tax law expertise and served as president of Leeds Precision Instruments, a company in Golden Valley, Minnesota, that designs, manufactures and sells forensic microscopes around the world. The Dean Martin Dickinson Tax Policy Lecture pays tribute to Dickinson’s 48-year legacy of teaching KU Law students and providing excellent analysis of tax policy and changes in tax laws in Kansas and beyond.